technology to the skin, encouraging healing beneath the surface. This advanced device emits broad-spectrum pulses of light at different wavelengths, customized to your unique needs. For convenience, this laser therapy features no downtime, and patients can return to normal activities immediately following treatment. Using a handheld laser, Dr. Zweiback and effectively address dark spots, freckles, pigmentation, and redness. IPL laser therapy, also known as photorejuvenation, uses intense pulses of light to repair the underlying tissues of skin. This non-ablative procedure penetrates the skin’s surface, targeting specific cells to promote healing. During your initial consultation, Dr. Zweiback can review your cosmetic goals and create a customized treatment plan to help you achieve optimal results. Typically, patients receive two to five treatments. This procedure can be used on several areas of the body, including the hands, chest, neck, and face. Results generally last up to one year. Before treatment, Dr. Zweiback can apply a topical anesthetic to the treatment area to ensure optimal comfort. 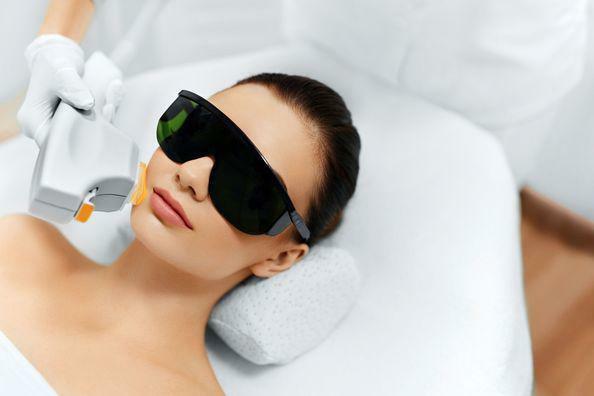 He can then place the laser device over the target area, adjusting the wavelength to match your skin tone and texture, and the condition being treated. Treatment typically takes 15 to 30 minutes. You may experience mild redness and swelling for the first 24 hours, but you should not experience soreness. You can return to normal activity immediately following the procedure. If you are receiving follow-up treatments, we recommend that they be scheduled every two to three weeks to allow your skin time to adjust. Throughout this period, it is imperative that you wear sunscreen at all times. Depending on your unique needs, we can combine this procedure with other cosmetic treatments, including dermal fillers and skin resurfacing. Our team can review your options during a personalized consultation. Laser therapy is an efficient, effective solution that can help restore your natural beauty. To learn more about the benefits of the innovative IPL treatment, contact our office to schedule an appointment with Dr. Zweiback.